Email spamming is one of the major issue faced by the users nowadays. It becomes very frustrating to have important email as quarantined or block as spam. Now, to prevent spam filtering and important messages from getting marked as spam in Office 365, a user needs to use mail flow rule or safe sender list. However, when an email is marked as spam by the spam filter, it is commonly known as false positive. In order to prevent legitimate email marked as spam in Office 365 issue, spam filter in Office 365 also renders some options that a user can use to customize Outlook or OWA mailbox settings. NOTE: Exchange Online Protection (EOP) or Exchange Online administrators only can use this service to make sure that an email message traveling through the service is not marked as spam with the valid access credentials. Exchange Online Protection is a cloud-based email filtering service, which helps users to protect the organization from spamming and malware. Users having a mailbox in Office 365 need not worry because they are protected by EOP automatically as it is included in the service already. However if a user is an EOP-only customer who subscribes to the EOP service for use with on-premises Exchange Server, can use directory synchronization to sync the user settings with the EOP service. With the help of this service, the user’s safe senders lists are illustrated by EOP. 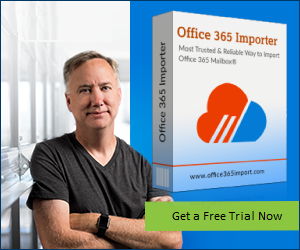 In Microsoft Office 365 account, if the sender email is always moved to junk or spam folder in the organization, then, another possible way to avoid emails going to spam is that add the email sender’s IP address to the connection filter’s IP allow list. This may help users in preventing legitimate email from being marked spam in Office 365 account of the organization. However, if a user enables “Safe Lists Only: Only mail from people or domains on your Safe Senders list or Safe Recipients List will be delivered to your Inbox” option in Outlook. It even does not add a sender to the safe sender list then, there are chances that false positive problem may still occur. One can extract the header from the sender’s message that a user wants to allow. A user can do this from the mail client i.e. OWA or Outlook 2016. A user can also manually identify the IP address by following the CIP tag in the X-Forefront-Antispam-Report header or with the help of Message Analyzer tab of the Remote Connectivity Analyzer. Or a user can follow the instruction in “Use the EAC to change the default connection filter policy”. Add domains or separate email IDs to an allow list. If a user is having restrictions in a spam filter policy like, if the entire domain is blocked, then a user should verify them to confirm if that is the reason of false positives in Office 365. Go to Configure your spam filter policies, and turn off Advanced spam filtering options in additional settings due to which messages marked as a spam. One can also create safe sender list by adding addresses from senders to safe sender list of Outlook or OWA. In OWA Select Settings » Options » Block or allow. Exchange Online Protection will keep the only user’s Safe Senders and Recipients, not Safe Domains. In Outlook on the Web, if a user views a message, there is a safety tip with yellow color that shows, the message is in the Junk folder. It is because the sender is not on the receiver’s Safe Senders list. Go to the header of a message, it might have the stamp SFV:SKN (ETR or Allow IP Allow) or SFV:NSPM (non-spam) and the message is still present in the user’s junk folder. However, anything in the message header does not show that the user has enabled “Safe Lists Only” option or not. It is because the “Safe Lists Only” option enabled by users in Outlook overruled the EOP setting. If email goes in junk folder regardless of EOP marks the email as spam or non-spam, a user needs to turn off the Safe Lists Only option. If TrustedListsOnly value is True indicates that this setting is enabled. The TrustedSendersAndDomains display the contents of the Safe Senders list of the user. If ContactsTrusted value is True, it indicates that the user trusts both Safe Senders and Contacts. Email has become the most important part of everyone day-to-day life. Therefore, no one wants to compromise with any of their important emails. However, there are some situations in which some important legitimate email marked as spam in Office 365 accidentally. Due to this, a user is not able to read some of the important messages. Thus, to resolve false positive emails in MS Office 365, a user is advised to configure the connection filter policy. This will prevent the accounts from spam messages. Moreover, we have discussed various different techniques that are user can use to resolve Microsoft Office 365 emails going to junk folder issue.